On the 21st of September 1987 the world lost a truly great musician. Greg and Rory Pastorius lost their brother. And I lost a close friend. Jaco Pastorius, dead as the result of a senseless attack by some macho of a club manager, left to play with the band everlasting. Jaco was a great person, always good-humored and ready for a joke. He was an enthusiastic sports fan and beat me easily in any game we tried, from basket-ball right through to table-tennis. His energy was overwhelming and virtually inexhaustible. As a composer, arranger, and musician he belonged to the worlds genuine élite and in this short life of his he achieved so much. John Francis Pastorius was born on the 1st of December 1951 in Pennsylvania, the son of a jazz drummer named Jack Pastorius. His family called him Jacko. In 1959, when Jacko was seven, the family moved to Fort Lauderville. The family was catholic but Jacko was different somehow. Although there was always music in the house, Jackos great love, to start with at least, was sport. Indeed it was his sports career that brought him indirectly to playing the bass. He started off as drummer in a band called The Las Olas Brass. He had earned the money for the drum kit by delivering newspapers. However, at the age of thirteen he broke his wrist playing football; and that meant the end of playing drums. But at around the same time the bass player left the band. He "simply couldnt stand it in this country any more", Jaco mentioned once, "because everyone was either high or drunk all the time - except me, that is. I always kept clean." Just two weeks later Jacko was playing bass - even better than his predecessor. He taught himself and picked up ideas for his style by listening to music on an old childrens record player he had won in a Rice Krispies competition. The record player couldnt handle the bass, only the singer and the saxophone with the melody line. And Jaco simply imitated whatever he heard. Jaco would always claim later on that he had never really practised but that wasnt completely true. His brother Greg recounts: "Everyone would be sitting round the TV - but Jaco would always stand right in front, with his bass in his hands, and his long, sinewy fingers flying up and down the neck - he was always on the go." After Jacko successfully finished High School in 1969 (he had been the most gifted pupil in his class) he started making himself a name in the clubs in southern Florida. He played with bands such as Wayne Cochran and the C. C. Riders and the Peter Graves Orchestra. He changed the spelling of his name to Jaco - "perhaps to make it a bit more mysterious," suggests brother Greg. He never behaved according to other peoples expectations. He transformed the electric bass, which until then had always been considered a purely rhythm instrument, into a lead instrument, playing melodies, just as he had heard on his childrens record player. And he was a gifted composer. "He was an absolute trend-setter in the electric bass," insisted band leader Peter Graves, "anyone playing the electric bass after Jaco must somehow relate to him." He was sociable and friendly, sometimes high-spirited, and had a motivating effect on other musicians. He was also very spiritually minded and would hold long philosophical discussions with friends. Jaco believed that his talent was a god-given. Although Jaco was essentially self-taught, he did study for a few semesters at the University of Miami. Before long he was also giving tuition on the electric bass. His college comrades included Pat Metheny, Steve Morse, and pianist Mike Gerber. Whit Sidener, a jazz teacher at Miami University, who played saxophone with Jaco in the early 1970s, recalls "When I got to know Jaco and worked with him in Fort Lauderdale, he was absolutely clean and took no drugs at all". Randy Bernsen remembers "He always laughed at people when they drank". In 1976 came the real breakthrough for Jaco: He went on tour with Blood, Sweat, and Tears. He made recordings with Joni Mitchell. He published his own album Jaco Pastorius containing his own compositions, and was nominated for two Grammies. He toured with Herbie Hancock and then joined Weather Report, the fusion group that really made him famous. His work with Weather Report earned him another Grammy. Jaco stayed with Weather Report for five years, and thanks mainly to him, the band reached whole new dimensions in fusion. No other product of the fusion era had an effect even approaching that of Weather Report. When Jaco left the band in 1982, it lost its real driving force, the energy that had literally brought the band to the boil and which it has in my opinion never fully regained. It was around this time that I got to know Jaco myself. I was marketing manager at Acoustic where I was responsible for developing new products and for relations with artists. Jaco had always, as far back as one can remember, played a Fender Jazz Bass linked up with an Acoustic 360 Bass Amp, and although he had been offered endorsement deals time and time again to do otherwise, he never changed horses. Acoustic had in those days just ceased producing the 360 and brought the 370 onto the market, but Jaco didnt like it. So we began working on a new system, the 320/408. Although he liked this system and used it on a number of tours, he never went on stage without his old 360. In fact he would use both amps for various special effects during the show. When it came to endorsements, Jaco was his own man. He never did anything just for the money - only if he was really convinced by a product. He also had a profound aversion to all the hype in the business. He decided himself which photos were to be published (or at least he tried) and only very rarely gave interviews. Indeed it was during his time as endorser for Acoustic that he gave his first interview ever. He gave it really for moral reasons. He was sincerely grateful that his old 360 Amp had been giving him such good service for so long and so trouble-free, enabling him to support Tracy, his first wife, and their children. He thought it fitting to do Acoustic a favor in return. He went on to work together with our engineers and designers on developing new products. Something he really hated was photo sessions. When he agreed to endorse our amps, I recall, we had commissioned a number of photographers to photograph him for a poster and for various adverts, but he wouldnt accept our choice of pictures. Instead he turned to a Swedish photographer who had taken pictures of him on Jacos most recent European tour and Jaco insisted we use these photos. Two superfluous photo sessions, overdue deadlines with all the magazines - and all because Jaco wanted to have a photographer he considered a true artist. The accountants at the firm found it hard to smile but I couldnt care less. Jaco was right, his pictures were much better; and - even if you couldnt actually see the amps - his pictures were simply real art. Jaco was like that in everything he did. He would drive you to do better just by keeping pace with him. He could discuss music, art, cars, people - but always with such intensity, always to the extreme. Everything he turned his hand to had to be just as perfect as possible, and these high expectations spilled over onto everyone in his company - whether making music together, playing sport together, or simply living together. And even though some people couldnt handle this intensity - the result was in the end always positive. I was present at many of Jacos recording sessions with Weather Report and with Joni Mitchell, and Jaco would always take control of things - automatically, as if this was taken for granted. Through his own intensity and dedication he inspired the other musicians to really make an effort. And when the tension really reached breaking point, again it was Jaco who would defuse the situation and make people laugh. It was Jaco who could really get you wound up but it was also Jaco who could impart calm again. With Jaco life was never boring. "Jaco is one of those exceptional musicians," said Joni Mitchell, who worked for a long time together with Jaco. "Even if what he did seemed crazy, you would join in and go along with it - just to see what would happen. Indeed it was only this way of his that made the Mingus album possible." 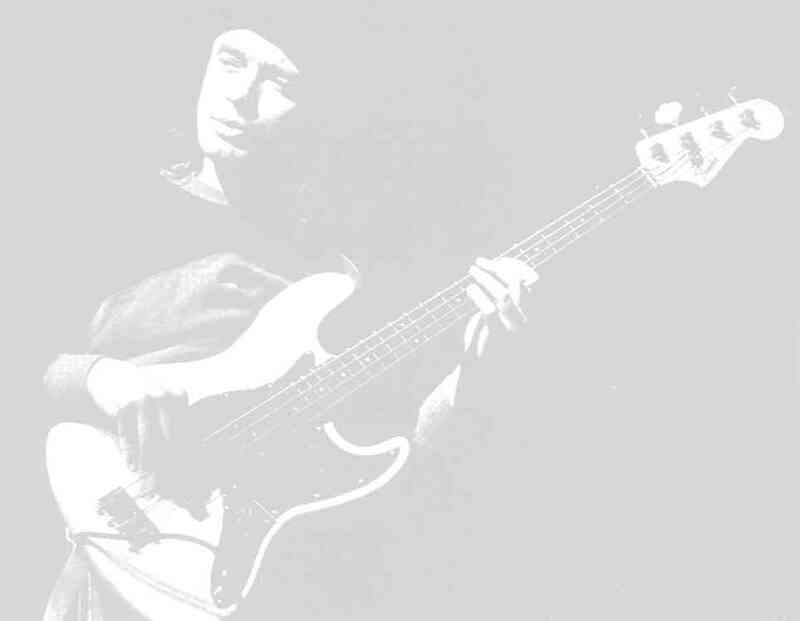 Jaco frequently acted as "co-producer" (sometimes with but often also without the credits) and he nearly always took complete responsibility for his own work, no matter who he was playing with. This is a peculiarity that persisted throughout his creative musical life. I had the opportunity several times of accompanying Weather Report on their tours, and I got to know Jaco well. He always treated me with warmth and respect and spared me the "rock star" airs and mannerisms. He would simply state - often and in all seriousness - that he was the best bass player in the world. And I couldnt contradict; he was probably right. Indeed, in the following years, two reputable magazines would choose him as bass player number 1. And in 1981 he was voted by Japans leading jazz magazine as musician of the year. In the early 1980s Jaco founded The Word Of Mouth Band and brought out a studio album under the same name. Later on he made two live albums with the band. The titles of both albums Twins One and Twins Two were inspired by his twin sons, Felix and Julius, from his second wife, Ingred. The Word Of Mouth Band was my personal favorite of all the bands I saw him play with. It was really Jacos band. He brought them together, wrote their music, and somehow managed to make a big band sound concise and compact. The musicians in Word Of Mouth were simply the best: Peter Erskine on drums, Herbie Hancock on piano (only on the album, not at live performances), Wayne Shorter, Michael Brecker, Toots Thielemans, Hubert Laws, Don Alias, and many more besides. I shall never forget hearing the band play live at the Dorothy Chandler Pavilion in Los Angeles - a fifteen-piece horn section, steel drums, harmonica (played by no less than Toots Thielmans), and absolutely no guitar and no keyboard. This band left absolutely no doubt as to Jacos talent as composer and producer. The only regret is that the band never won the same acclaim in this country that it was given in Japan. Throughout his short career Jaco remained a pure and genuine musician. Whenever asked, he would, from one moment to the next, jump onto stage and start jamming - providing he liked the band. Wherever there was music, there was Jaco. He could play virtually any instrument. When he visited me one evening, he was so captivated by a mandolin I had that he ended up playing it for hours with me accompanying him on acoustic guitar. He played it really well and I asked him afterwards how long he had been playing mandolin. "That was the first time" he answered. I also remember a NAMM show in Anaheim. Jaco had come to promote our new 320/408 bass system. He heard that Peter Erskine was doing a promotion for Slingerland Drums next door. A few minutes later the two of them had set up a drum kit on our stand and launched into a thirty-minute jam at full volume. The show was forgotten. People rushed to our stand and, as far as the eye could see, everyone was rocking to the sound of these two boys. The hallowed halls of the NAMM show had never witnessed anything like that, and nothing like that has happened since. The following year the exhibition management set a ceiling on the noise level, and since then things have stayed nice and quiet at the NAMM show ! Already in his young years Jaco was famous. And he, like others before him and others since, was not spared the problems this brings - always on tour, the hassle with customs, and a few hours later back on stage again, lots of friendly people but no real friends and no substitute for the family, the loneliness of hotel rooms, and, perhaps the most frustrating thing of all for Jaco, that his significance as a revolutionary on the electric bass was not properly recognized in his own country. When Jaco joined Weather Report, he didnt drink and took no drugs. He thought that would only spoil his playing. But finally he started and Jaco was not a good drinker. Stories of his drunken escapades were soon more popular than his concerts. In 1982 in Italy Jaco fell from his hotel balcony, The fracture to his arm was so complex that a steel plate had to be implanted. He would always deny having problems with alcohol. Asked about it, he would always say: "Im on public view continuously; in one week I travel round more than an average man in his whole life. I only have to sneeze and people say Im taking cocaine. I am neither an alcoholic nor a drug addict. Im a musician." Great musician though he was, Jaco never really managed to come to terms with this curse that apparently lay over his talent. It was only a few years ago that a doctor diagnosed that Jaco had been a manic-depressive all his life, and that he owed his creative force to cyclically occurring highs in his cerebral activity. The doctor prescribed Tegretol, an anti-depressant, but Jaco stopped taking it very soon afterwards for fear it would cost him his passion for playing. I remember how in 1985 Jaco came to LA to help me with a music show. He had come directly from a Detox Center. This was the time when he was still taking Tegretol against depression and, though he played technically very well, that old creativity was missing. However much I respected for trying to get to grips with his life, I missed the old Jaco who had so much more power in him. Jaco stopped taking Tegretol soon afterwards and he became once again his old self - but his life-style was already on the slide. The last years were sad ones for Jaco. He played only rarely and made only few recordings. He made one album with steel drums, entitled Holiday For Pans but he couldnt find a big label for it. Although it was a really good album, nobody seemed to believe Jaco would be able to go on tour again and promote the album. In New York City life was treating him even rougher. His growing moodiness and impetuosity were such that nobody wanted anything to do with him any more. He would often spend the night on a park bench - a drunk and broken man. This dark veil cleared a little when at the beginning of this year Jaco returned to Florida to his friends and family. Jaco had turned quit drugs and alcohol and was trying recently to resume something of a normal life. He played a few times with his old friend Randy Bernsen and they talked of cutting an album together. But Jaco started sliding again. The first time he was drunk for a whole day; the next time it was two days. That was the beginning of the end. His brother Greg reflects: "I was absolutely confident he would make it. What went wrong ? I think thats something only Jaco knows." On the 12th of September at 4:20 in the morning Jaco was refused entrance to the Midnight Bottle Club in Wilton Manors. When he began to kick the door, he was set about and brutally beaten up by Luke Havan, club manager - and Karate black belt. Jaco was not even able to defend himself. Havan just kept hitting him in the face. A number of witnesses tried to intervene but Havan still didnt stop - even though Jaco already lay unconscious on the ground. Havan then simply left the scene and Jaco lay like that for more than four hours in the street in a pool of blood, until someone at last took him to hospital. Jaco had a broken skull, his facial bones were smashed, and he had pneumonia. His face had so swollen it was virtually unrecognizable and his mother couldnt bear to see him. Jaco did not regain consciousness; he lay in a coma for nine days, and died on Monday, the 21st of September 1987, at 22.00 oclock. Jaco stands at the end of a long line of hapless geniuses, ranging from Mozart by way of Charlie Parker right through to Jimi Hendrix. Jaco always used to say that when Charlie Parker finally kicked heroine that was his death sentence: The jazz giant died just a few months afterwards. I think Jaco recognized the similarities all too clearly and took exactly the same path himself. Jaco always used to laugh when people told him he was destroying himself. He would answer: "People come and say Im destroying myself and so on. But Im not self-destructive. Im not an alcoholic, Im not a drug addict, Im just having a party. I seize life with both hands." I am convinced that Jaco still had a lot more music in him. His whole family, all his friends - they all tried to help Jaco in recent years but it just wasnt enough. Jaco was drifting farther and farther away from us all and now he is dead. What remains is his music, and that will go on living for many years to come in the work of other composers and musicians. The world will miss him and remember him - the musician Jaco Pastorius. I too will never forget his music. But most of all I shall miss Jaco the person, the human being, because Jaco Pastorius existed only once on this Earth. No matter how often Ive wept since Jaco died, a smile always remains. Jaco always knew how to make me laugh and I hope hes laughing now too. PS: My thanks go to Michael Knuckles (Jacos friend and manager over many years) and to Greg Pastorius (Jacos brother) who helped me to make this picture of Jacos life as true as possible. This article appeared in December 1987 in the "Fachblatt" (a German music magazine). This English version is a retranslation by Raymond Russell of the German article. It is as such only an approximate rendering of Aspen Pittmans English original and no guarantee can be given regarding the various quotations.